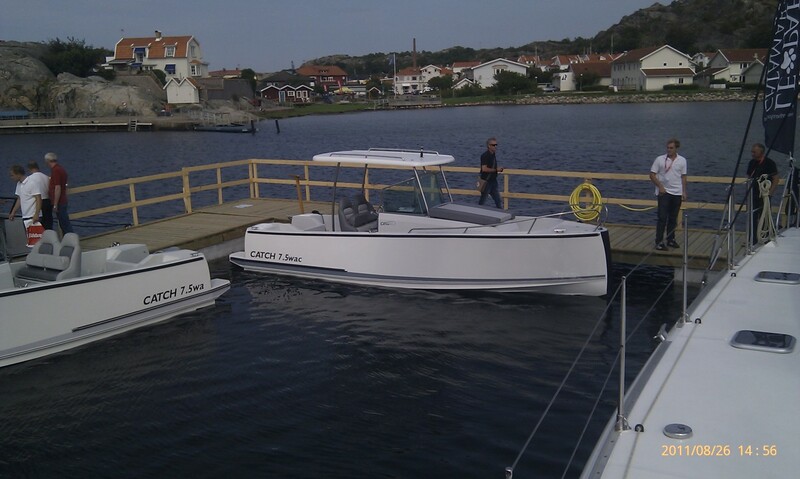 Catch 7.5 has a hull specifically designed to give small propulsion resistance but still maintain space and stability for wider boats. An air channel along the back of the bottom provides for keeping the friction resistance at a low level. The sharp, long bow cleaves the water without contributing to increased wave resistance. Catch 7.5 is comfortable and steady running. The self-regulating ballast system provides stability and security for the tie-up, both in port or at sea. Catch 7.5 is strong and rigid. 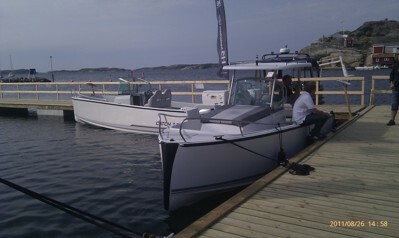 The boats are built with vacuum infusion by Bohusläns most skilled boat builders. A system of stable along and transverse bottom frames ensure a long life, even with heavy use. The Catch 7.5 Wac offers comfortable and secure seating for the whole family. There are a lot of free floor space. The cabin has two berths with full length, a toilet and a sink with fresh water. The sofa in the driving positionprovids more storage space. 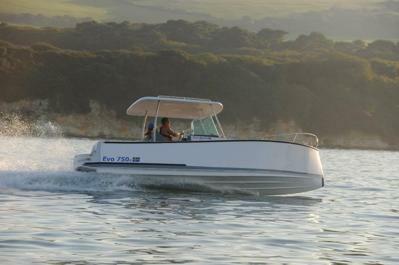 Catch 7.5 Wac available with Hard Top, rod holders, plates for downriggers, hefty igloo coolers and many other accessories directly from the factory.